The Commonwealth of Dominica, not to be confused with the Dominican Republic, is a small island in the Lesser Antilles archipelago. While renowned for its idyllic beauty, untainted waters and verdant rainforest, Dominica is much more than just a picturesque holiday destination with tranquil scenery. The Dominican people are entrepreneurial in their approach, and the island has the international network to prove it. 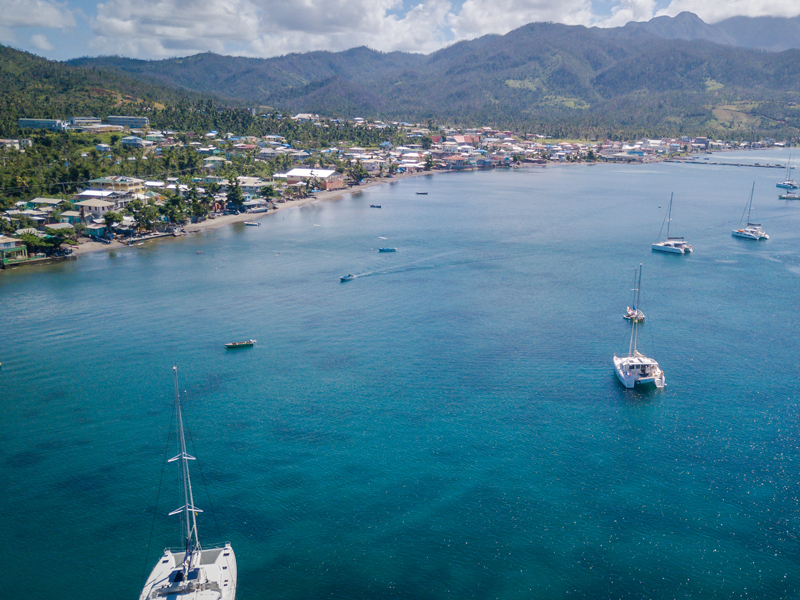 Since 1993, Dominica has been home to one of the world’s first citizenship by investment programmes, offering international businesspeople the opportunity to benefit from the island’s increasingly global perspective. Furthermore, due to the Programme’s longevity and accumulative experience in the investor immigration market, Dominica has continued to refine its second citizenship programme, simplifying processes and strengthening due diligence to ensure that investors from around the world can profit from the country’s ambition. Over the past decade, the investor immigration scene has grown rapidly, with many countries around the world offering citizenship (or residency) by investment programmes in an attempt to attract more foreign direct investment. Simultaneously, the appetite for gaining second citizenship by means of investment has burgeoned, as high-net-worth individuals have sought to increase the wealth and mobility of their businesses and families. The political and economic tension between certain nations has only acted to intensify this interest, with clients seeking investment opportunities in countries with growing economies and stable governance. Although Dominica’s government doesn’t reveal the precise number of applications it receives to its second citizenship programme each year, the publicly available yearly budgets indicate that the offering continues to gain in popularity. This success can be attributed to the country’s efforts towards creating smooth processes and improving its vetting and security concerns, as well as the programme’s affordable price point. In recognition of the island’s efforts, Professional Wealth Management, a subsidiary of the Financial Times, ranked Dominica’s citizenship by investment programme as the best in the world. While the investment threshold to gain second citizenship in Dominica remains the same – $100,000 per applicant – the Global Community framework enables clients to see the offering as more than just a citizenship or a right to apply for a passport. Instead, applicants become part of a global network that offers new opportunities for both professional and personal development. Greater mobility is also a key draw for those from countries that hold fewer formal diplomatic ties, with Dominica’s second citizenship programme allowing for visa-free travel to more than 120 countries, including key business hubs around the world. Further, the programme’s lack of residency obligations allows economic citizens to continue living their busy international lifestyles uninterrupted. Late last year, Skerrit vowed to make the island the first completely climate-resilient nation in the world. Geared towards harnessing green energy and building infrastructure that will withstand future climate-change-related events, Skerrit’s approach has been applauded by UN Secretary-General António Guterres and continues to receive support from the Clinton Foundation. This attitude towards sustainability is reflected in the country’s citizenship programme, which invites individuals and families to be a part of Dominica’s enterprising future. Through the programme’s property options, investors can even get their hands on a piece of prime Dominican real estate while gaining citizenship. Luxury hospitality brands, such as Hilton, Kempinski and Marriott, have also sought to capitalise on Dominica’s eco-tourism potential, establishing a presence on the island in order to make the most of its progressive government policies and growing international presence. While Dominica’s serene landscapes are not to be overlooked, the Caribbean island has far more to offer than first meets the eye. In fact, Dominica has become a global network of internationally minded businesspeople, offering new investors the chance to buy into a sustainable future – and reap the benefits of one of the world’s longest-standing second citizenship programmes in the process.